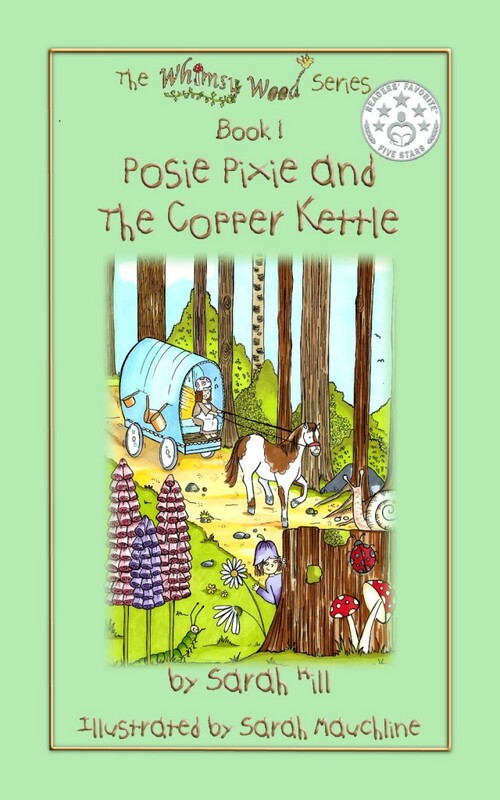 Posie Pixie And The Copper Kettle, sets the scene for the rest of the series and explains why Posie Pixie finds herself in Whimsy Wood. She'd been living in a poppy in a nearby meadow you see, but the petals had begun to fall from her poppy house, as summer started to fade. So, Posie set off on her first whimsical adventure to find herself a new home for the autumn. But how does the copper kettle come into it? I hear you ask! Aaaah. Well, you'll just have to read Posie Pixie And The Copper Kettle to find out! The Readers' Favourite 5-Star Seal awarded, to 'Posie Pixie And The Copper Kettle' in 2015.
' "Oh pips and petals! Where am I going to live?" muttered Posie Pixie in a fluster, as she hurried through Whimsy Wood one warm August afternoon. 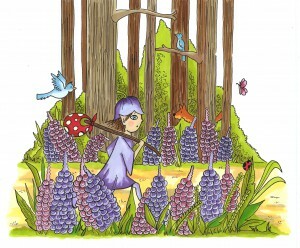 Her little bluebell hat jingled and tinkled as she bobbed up and down and scurried like a squirrel amongst the pink and purple foxgloves. "Summer's coming to an end and I must find a new home for the autumn!" she said, looking at the woodland flowers that had started to lose their petals. Posie was feeling a little hot and bothered now with all her hurrying and scurrying, so she stopped and leant against a large tree stump to catch her breath and cool down a bit. In Whimsy Wood, Sarah Hill has created a vibrant world full of wonder and imagination that you will want to revisit again and again.